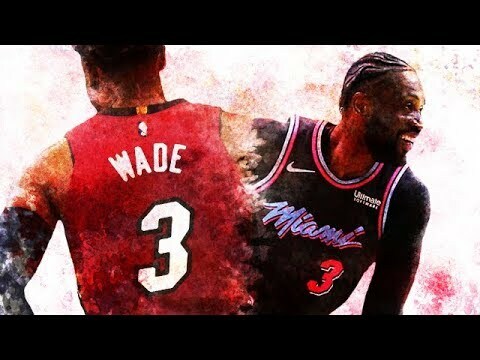 Dwyane Wade's "One Last Dance" final season with the Miami Heat was filled with everlasting moments that will echo through South Beach and into NBA history. From the evolution of his jersey swaps, to dazzling and vintage "flash" plays throughout the season, including the miraculous buzzer beater to defeat the 2-time defending NBA champion Golden State Warriors, Wade gave the basketball world a scrapbook full of memories to conclude his illustrious 16-year NBA career. "Father Prime's" final two games featured tributes from his son, Zaire, a 30-point sent off at AmericanAirlinesArena in Wade's final home game and a triple-double performance in Brooklyn vs. The Nets, with long-time friends LeBron James, Carmelo Anthony and Chris Paul court page. Visit ESPN on YouTube to get up-to-the-minute sports news coverage, scores, highlights and commentary for NFL, NHL, MLB, NBA, College Football , NCAA Basketball, soccer and more.